Columbus OH – When Tom Mills, owner of HandyPro Handyman Service was interviewed he suggested some easy home maintenance tips to eliminate problems and prevent serious and costly damage. Some home repairs are necessary for safety as well. With summer approaching people are getting the deck furniture out of storage and preparing the BBQ grill for backyard parties. Some people are diligent about cleaning and sealing the deck so it looks nice, but many are unaware of the danger of neglected maintenance. There are several hazards to poor deck maintenance. Movement caused by freezing and thawing can cause boards to warp and nails and screws to pop up and cause injury when shoes are snagged on them or children step on them with bare feet. 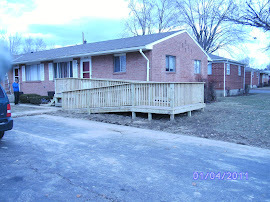 Worse yet, rotted deck boards can give way and cause someone to fall through the deck! Another hazard with rotted wood is termites and insect infestation. The local handyman (http://www.youtube.com/watch?v=_TA0SSxJUIo) suggests fixing these problems right away because they will only get worse. The harsh winter season is not the only threat to homes. The rainy spring season and hot summer season can also take its toll on wood trim around doors and windows. Homeowners can easily caulk these areas to prevent moisture from getting in and rotting wood trim. Tom Mills is a licensed handyman and well qualified to handle many of these home repairs and maintenance tasks. Some people do not know what kind of products to buy or they are just too busy. Homeowners who are uncomfortable climbing ladders can call the local handyman to handle this important home maintenance task. HandyPro Handyman Service provides home repairs and maintenance, home improvement, remodeling and additions. No job it too big and no job too small to be handled with respect and close attention to detail. Tom Mills believes the most important personal qualities are honesty and integrity. The HandyPro business is based on the same beliefs so customers can trust them with all their home repair needs. HandyPro Handyman Services offers affordable solutions to a wide variety of home repairs and maintenance projects. 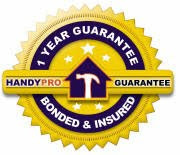 HandyPro specializes in helping the homeowner, business or property manager have all repairs completed professionally, in a timely manner, and guarantees 100% customer satisfaction. Visit http://www.handypro.com/w-nw-columbus.html to learn more.